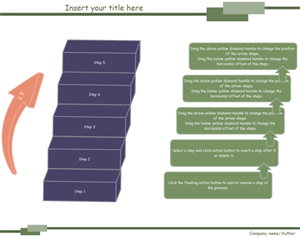 Creating block diagram with free templates and examples. Block diagram has never been easier. Block diagram is a diagram of a system in which the principal parts or functions are represented graphically by blocks. The block diagram is typically used for a higher level, less detailed description because a block diagram gives the big picture, without going into details. Block diagrams are ways of representing relationships between signals in a system. Each block in the block diagram establishes a relationship between signals. Block diagrams are heavily used in the engineering world in hardware design, electronic design, software design, and process flow diagrams, etc. 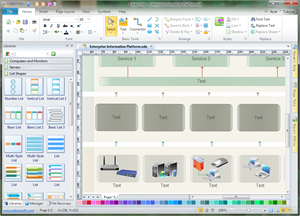 With Edraw, you can easily create a good-looking block diagram. You start with the block diagram template, which has all the shapes and tools you need. Drag and drop the shapes onto your page and customize your drawing with Edraw automated tools. You can also apply a nice-looking pre-defined theme with only one click. The interface is powerful in function yet simple to use. No professional drawing skills required. Once you're done, you can print or export your block diagram in many different formats. 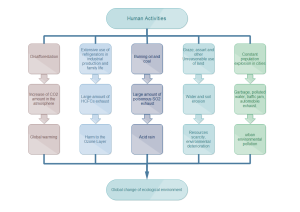 A template of human activities' disadvantageous influence on environment is readily available to simplify and speed up your own designs. 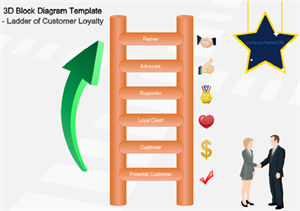 The right one is a 3D block diagram template about customer relationship. Gain more 3D block diagrams. This is a ladder diagram template. It is useful for showing process from bottom to top.